Digital advertising is a full-time job. The sophistication of digital advertising programs require genuine expertise to drive meaningful results. 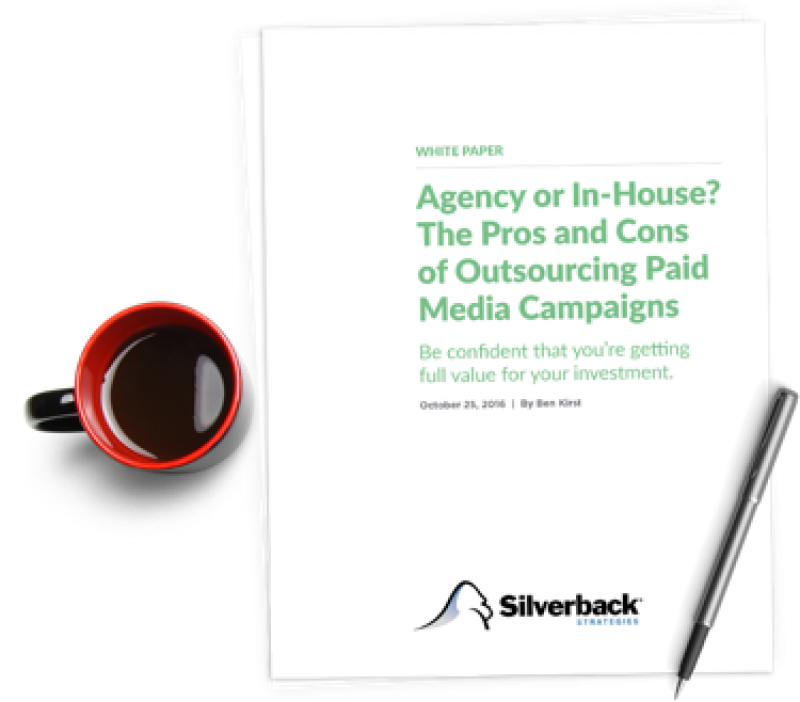 Silverback’s paid media managers are trained by industry leaders from Google, Bing and Facebook, manage small client rosters to guarantee daily personal attention and focus exclusively on metrics that prove client success. We get our clients in front of the right audience on the right platform for the right reason to ensure every ad dollar is spent as effectively as possible. Silverback’s paid search and media programs are built on keyword and audience research, ad account buildouts, campaign targeting strategy and outstanding ad copywriting. We provide commerce feed setup and optimization as well as monthly and ad hoc reporting for all clients. We’re in this together. Want to learn more about Paid Search + Media?